﻿ Christmas fun! Where's Jorge Lorenzo's helmet? You've heard of spot the ball, so now welcome Spot the Helmet! Study the photo above and, using your skill and judgement, determine where you think Jorge Lorenzo's helmet was before it was Photoshop'd out of the image. Closest to the centre of Lorenzo's lid wins an MCN mug! 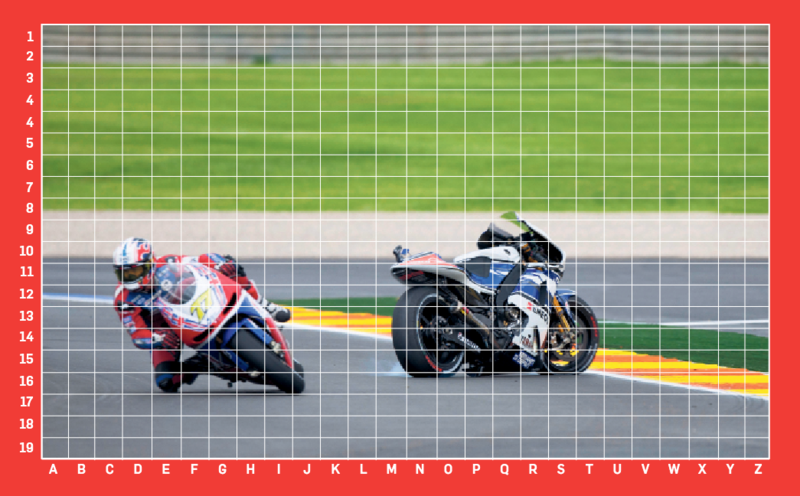 Print out the image, place a cross in your desired grid position amd then send the image, along with you name and address to: Spot the Helmet, MCN, Media House, Lynch Wood, Peterborough PE2 6EA.